Following on from the announcement of the new iPad by Apple last night. 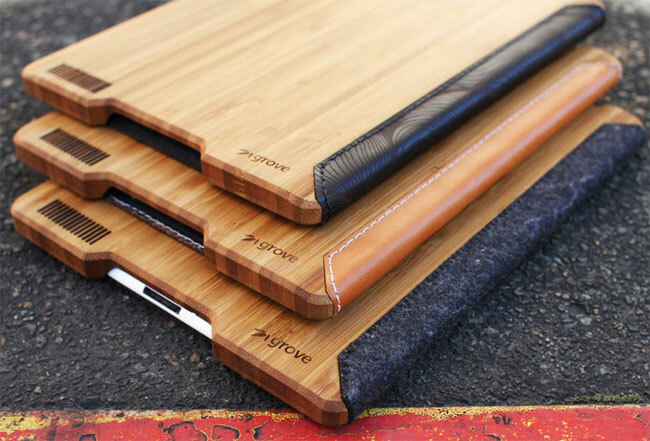 Grove Designs haste wasted no time launched their new range of cases designed specifically for the new iPad. The main reason why Grove can start shipping and launching its new iPad cases so quickly is to to the manufacturing process being on site and not off in some distant land. Allowing Grove Design to create their new iPad cases to demand directly on site. The new iPad cases are currently priced at 20% off through out March at $129, and have been created with a solid bamboo shell and a natural single cover panel which can be constructed from wool or leather depending on your preference. For more information jump over to the Grove Design website.